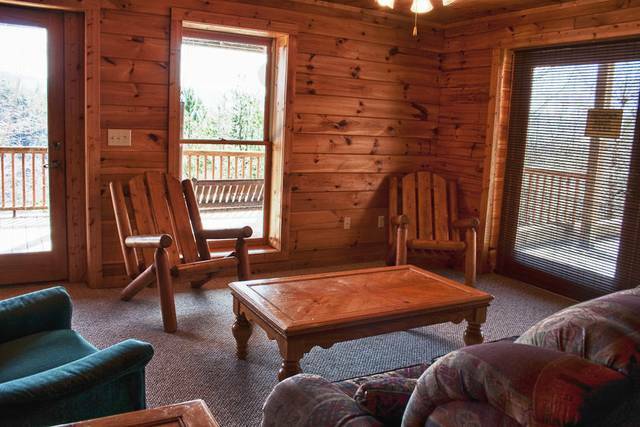 Large 3 bedroom cabin that offers some simply breathtaking mountain views from a wall of windows! Huge game room, kitchen and lots of living space for everyone. 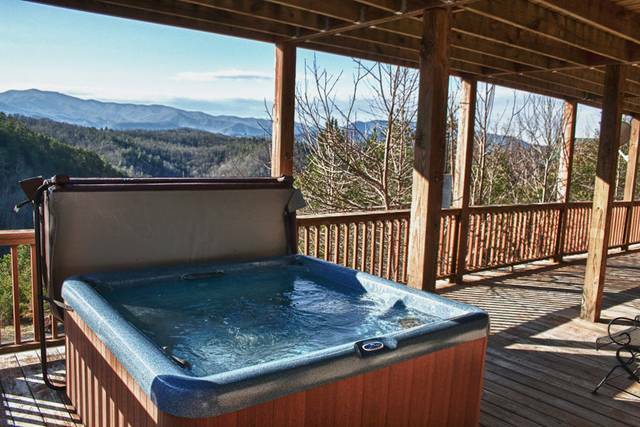 Located between Townsend and Wears Valley so only minutes to National Park or Pigeon Forge! 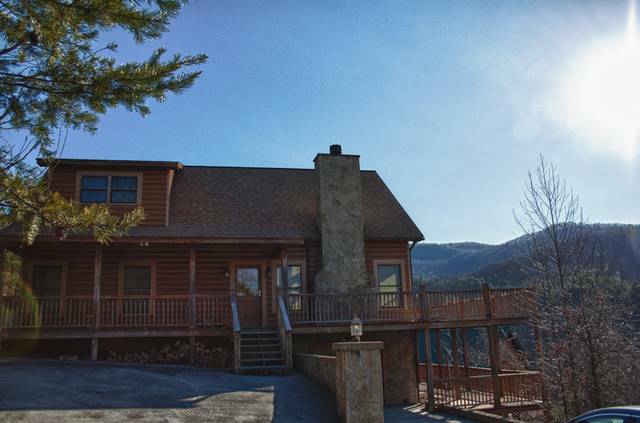 Endless View is a beautiful three level log home, located right between historic Townsend and Wears Valley. 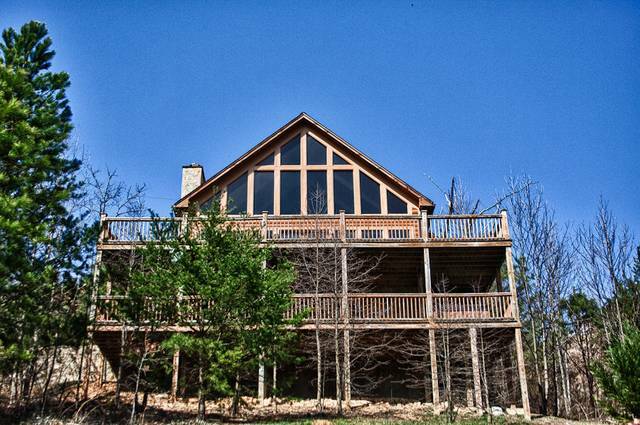 The living room boasts a wall of windows to help take in the gorgeous views of Wears Valley!!! 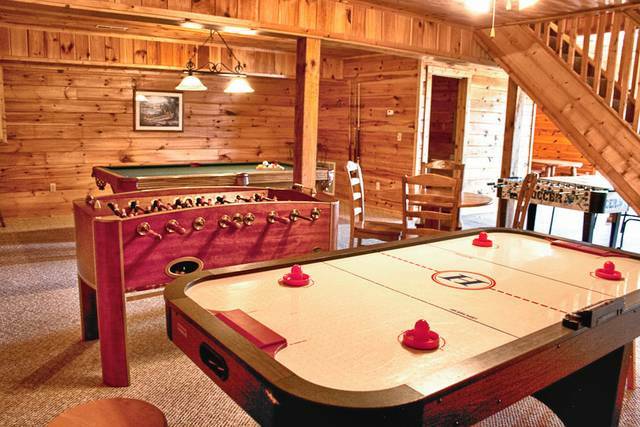 Large game room downstairs offer plenty for the kids to do while the adults take in the view from the wrap around deck. Enjoy the hot tub downstairs to help relax away the day. With bathrooms and bedrooms on the two upper levels there is plenty of room downstairs for the night owls to still have a great time if others choose to call it a day. Large kitchen and dining room to help tie the mountain memories together over a nice meal while looking out at the mountains. We really enjoyed our stay here. With the Smoky Mountains so close, you can be in the park in 15 minutes or so. Plenty of good hiking and fishing in the area. 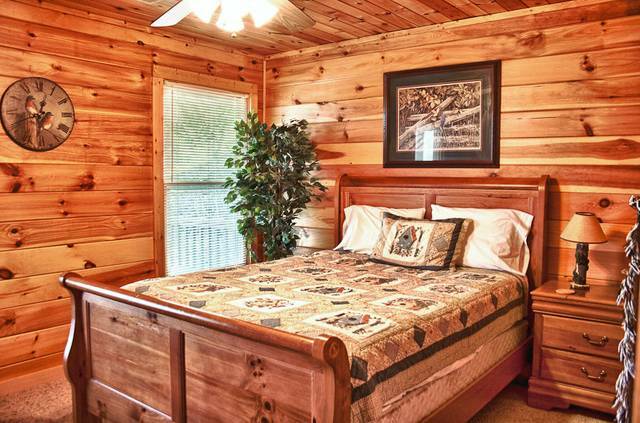 Easy access to Pigeon Forge as well. Management Response: Thank you for the review! It was a pleasure to have y'all stay with us at Endless View. Sounds like you had a fun and exciting visit and we look forward to seeing you again in the future! Cabin easy to find and near the "back" entrance to the National Park, which was convenient. The cabin was clean and had an amazing view. 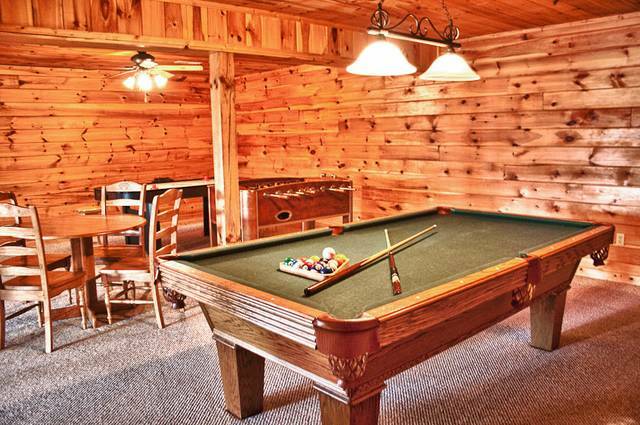 The kids loved playing pool and air hockey and we all loved the hot tub and expansive deck. We would stay here again, thank you. Management Response: It was such a pleasure having y'all stay with us. We are so glad you and your family had such a great vacation and we would be honored to see you again next year! From the moment we walked into the cabin we felt comfort and awe. The front room with its surrounding windows made it the perfect spot to relax and still enjoy the sights of the outdoors. Every morning we sat out on the deck drinking tea and every night we sat out on the deck and ate popcorn and told stories. The hot tub was the ultimate place to relax. The game area was much utilized and enjoyed by our kids. The beds were so comfortable it was hard to get out. Management Response: Thank you for the review. It was truly our pleasure to have y'all stay with us at the Endless View cabin. We look forward to seeing y'all again in the future! This was a very clean, centrally located (to both Gat/Pig Forge & Maryville), great views, peaceful and relaxing. Management Response: It was great to have y'all stay with us. We look forward to seeing you again in the future! Myself and my family stayed here for Thanksgiving. The cabin and the view are absolutely stunning. The only thing that I would recommend is adding to the kitchen supplies. The pot and pan department was lacking. Everything else was wonderful. Ms. Diana was so sweet and helpful. We will definitely be coming back. Management Response: Thank you for your review. It was great to finally get to meet you at check in. Its guests like y'all that make my job so wonderful!! I look forward to seeing you all again one day soon! -D.
We had a great time staying at Endless View with another family of friends. The cabin offers excellent views of mountains and most of all was how relaxing the cabin was. You're only 30ish minutes from Pigeon Forge for additional excitement. We really enjoyed the "play room" with the family and friends. The best thing was the close proximity to the Park and Cades Cove. Cades Cove entrance is only a 15 minute drive from the cabin. Although we didn't see the wildlife we hoped for in the cove, the scenery was beautiful. Thanks again for the awesome stay. Management Response: It was a pleasure having y'all stay with us at Endless View. Thank you for sharing your visit experience. We look forward to having you back in the future. My husband and I chose to take a later honeymoon and this is where we ended up. We couldn't have been happier! The pictures don't even do these views justice! It was absolutely breathtaking! The cabin was so beautiful, it made us never want to come home. We even had another couple come with us for a few days and it was perfect! 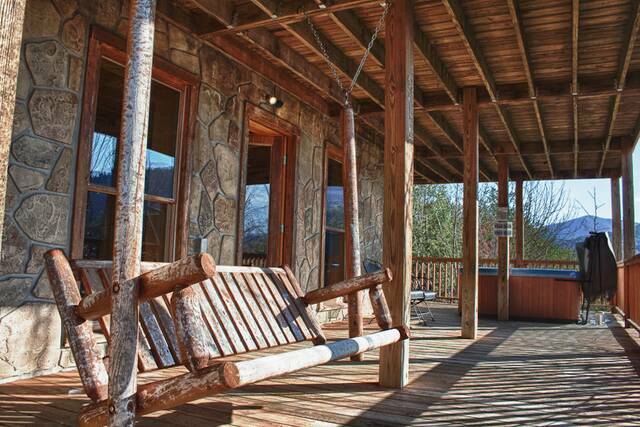 It was a great location up in the mountains but only 20 minutes away from Pigeon Forge and Gatlinburg. 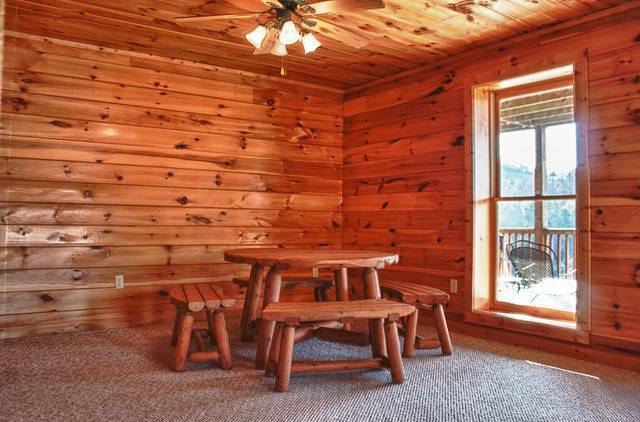 I not only recommend this cabin, but also 'Great Cabins in the Smokies'. We can't wait to come back next year-we will try to wait a few extra weeks to get even more of the fall colors! Management Response: Thank you for taking the time to review your recent stay with us. We are so glad that y'all had a good time. Looking forward to seeing you all again one day!! We loved the views, there was plenty of space and cabin was very nice. Only complaint I have is some lights did not work in the cabin, I called the office and never received a call back. Management Response: Thank you for taking the time to review your recent stay at Endless View. We do understand that a light switch with a dimmer could be a bit confusing. The head of our maintenance department did leave you a detailed voice mail explaining how to operate it. He also stated that if you needed any further help to please call his direct line and he would come out to the cabin for more personalized assistance. When he, nor the front desk, received any other calls from you or your party, we assumed the instructions you were given were sufficient in solving your problem. Place was clean and comfy. Views are amazing!!!! We had such a great time and hope to be back soon. Management Response: Thank you for taking the time to give us feedback from your recent stay and for that vote of confidence, it means a lot to us. It was a pleasure to have met y'all and look forward to seeing you all again one day! We enjoyed our stay at Endless View. The home location was perfect for us as we wanted to be a little bit away from the craziness of Pigeon Forge and Gatlinburg. It was just a short drive from the Townsend entrance to the Great Smoky Mountain National Park, where we took many drives and hikes. When we arrived, we found the home as described and clean. It had gorgeous views of the mountains, especially in the mornings and evenings. The staff at Great Cabins in the Smokies were a pleasure to deal with. Just as an FYI, the kitchen had basic pots, pans and utensils, but was lacking some items that would have come in handy. These include a cutting board, rubber scraper, bread knife and hand mixer. Also, the pool table only had one adult and one child's pool cue, so we had to take turns. This was our first "official" family vacation with extended family. The cabin and its surroundings was amazing! We could not get over the breathtaking views available from the outside decks. We had a relaxing time and would certainly do it again. m only issue was the wear and tear on the cabin (it was showing its age) and the lack of good cookware in the kitchen. Management Response: Thank you for taking the time to give us feedback from your recent stay. We are always looking for ways to improve where it it needed. We will definitely bring the "wear and tear" to the owners attention. Being on a rental program, not all people are as considerate with someone elses property as they are with their own and it tends to take a toll on things. It was a pleasure to meet you. We sincerely appreciate the fact that in spite of any shortcomings you are still willing to visit and recommend us to others. Thank you so much for that vote of confidence, it means a lot to us. We hope to see you again soon! Unbelievable view, 'NO' access to internet was a big plus. The kids had to actually put down their phones, even my Hotspot was out of range. It was overall AMAZING!! Only wish we were there for a week instead of two night. 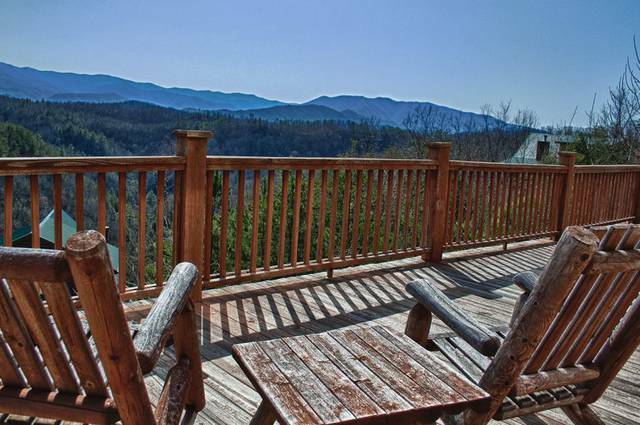 The pictures we took of the mountains from the deck with mountains in back ground were breath taking!! The downstairs , game area, was great and even better if that's what you needed with a group of guys:) The driveway was main concern but I was surprised to see it was concrete and very wide for many guest to park and turn around. In my experience of staying in cabins , we had narrow streets and small and narrow parking area:) I can't say enough about how wonderful this cabin was!! Again pictures on line doesn't do it justice!! Enjoy your stay !! I know I did and plan to rent this particular cabin again!! 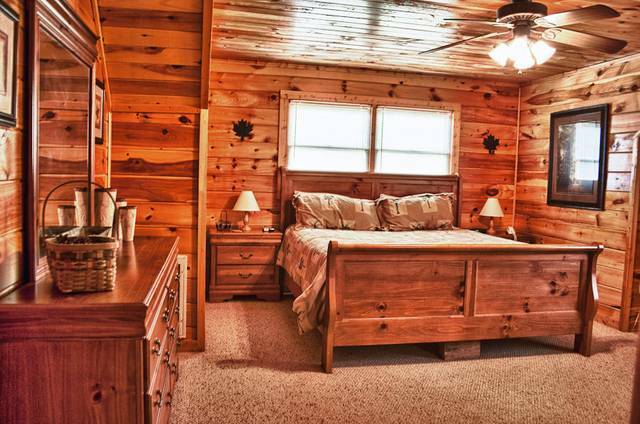 This cabin is beautiful. It is has tons of room and is very comfortable. The views are truly amazing!!!! I would stay again and again!! Management Response: Glad you thoroughly enjoyed the Endless View does live up to it's name! Management Response: Glad you thoroughly enjoyed the Endless View does live up to its name! great area to vacation and just relax if you want. plenty of things to see or do. Things for all ages. The view at the cabin was fantastic. From beginning to end we had a awesome experience with rental team. Tje cabin was gorgeous! Stockes with all the amenities. Couldn't aske for more from a tripp. The view is wonderful...The cabin was cozy and I hated to come back home to Alabama. We celebrated our daughter's birthday with family from out if state. It was nice to have everyone gather and have plenty of room to watch the football game, play pool and air hockey, and enjoy each others company. First time vacationing in the Smoky Mountains so we were uncertain where to stay. We liked the looks of Endless View, selected it, and signed the contract. The staff were VERY helpful in finalizing details and meeting us at the office. The house was amazing; very clean, beautiful location, and close enough to go out for fun yet far enough to get away from the crowds. And yes, we will be back! I had a wonderful experience with my cabin. It is absolutely breathtaking. It was decorated very nice. Very comfortable. It was very well maintained. 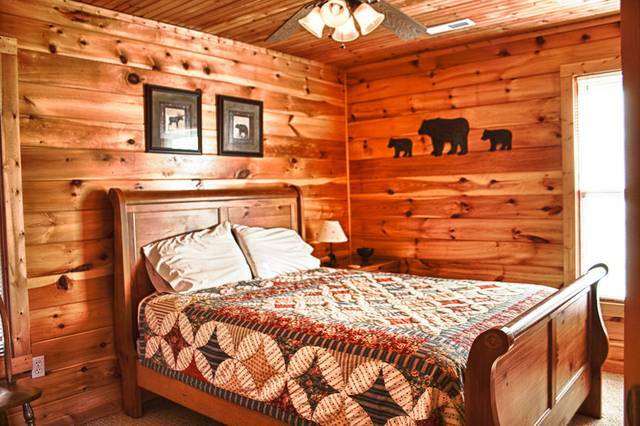 This cabin is exactly as depicted online. It is beautiful and I would highly highly recommend this cabin to stay. This is our first vacation that we so did not want to leave! This was truly a much needed vacation for our family! The cabin was beautiful and the view, HEAVEN! As my husband and I sat on the deck, I truly think we both felt closer to God! We have also made a decision, that we will be spending some time in Wears Valley, once my husband retires. Thank you so much for a awesome vacation, in our new favorite state of Tennessee ! We stayed at the Endless View cabin during springbreak 14. I'm active duty military stationed overseas and I came home to be with my family for two weeks so we spent 5 days at the cabin. My kids will remember that the rest of their lives. We will be a repeat customer in the future. 15 minutes from all the tourist attractions and the views were just amazing. I didn't give the property 5 stars on the property's condition because the two wrap around decks have some years on them and need replaced soon. The inside had been remodeled and was VERY nice. What a great time. Played board games, hung out in the hot tub and went for walks. Couldn't ask for a better vacation.